Moog (NYSE: MOG.A and MOG.B) – a designer and manufacturer of high performance motion control products, solutions, and services – was exhibiting its enlarged portfolio of smart motion control solutions for use across industrial applications at the 2018 SPS IPC Drives in Nuremberg Germany. At this year’s SPS IPC Drives, Moog launched also its new MSC III controller, a multi-purpose industrial motion controller for hydraulic, electric and motion control systems, and analog or digital interfaced motion control applications. 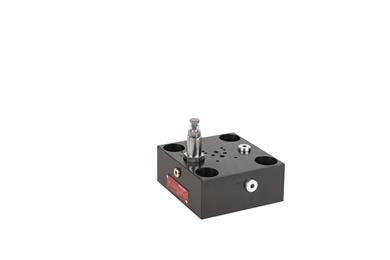 Moog (NYSE: MOG.A and MOG.B) – a designer and manufacturer of high performance motion control products, solutions, and services – has launched a new version of its cartridge cover series with a compact design to create simple pilot-operated pressure relief functions. 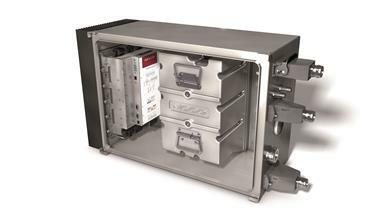 Moog (NYSE: MOG.A and MOG.B) – a designer and manufacturer of high performance motion control products, solutions, and services – will launch its new Modular Die Cushion System to extend the life of deep-drawing dies, improve system reliability and reduce commissioning time for manufacturers. 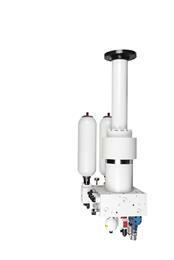 A live display of this new system can be seen during EuroBLECH, Hall 27. Booth G174 during 23 and 26 October in Hannover. Moog (NYSE: MOG.A and MOG.B) – a designer and manufacturer of high performance motion control products, solutions, and services – will be exhibiting a range of its innovative technology at the EuroBLECH Trade Show held at the Hannover Exhibition Grounds, Hannover Germany (Hall 27, Booth G174) between 23 and 26 October. 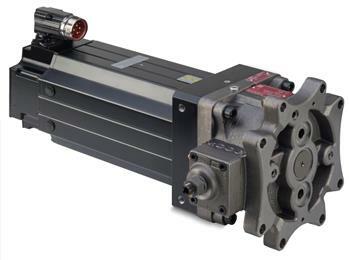 Moog (NYSE: MOG.A and MOG.B) – a designer and manufacturer of high performance motion control products, solutions, and services, has launched a new version of the D680 Series Proportional Valve. 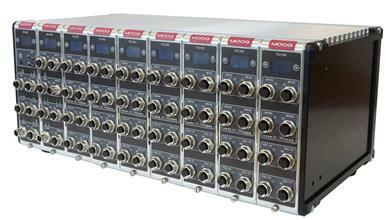 East Aurora, NY, USA, June 5, 2018 – Moog (NYSE: MOG.A and MOG.B) – a designer and manufacturer of high-performance motion control products and solutions – has developed the Moog Test Controller, a new 1 – 32 channel, modular test controller, for automotive test lab managers, to improve the quality of test data, speed up test setups and decrease the time it takes labs to complete tests. Moog engineered its new Test Controller to satisfy lab managers’ desire for an easy-to-use product that delivers exceptional value with a wide set of features. 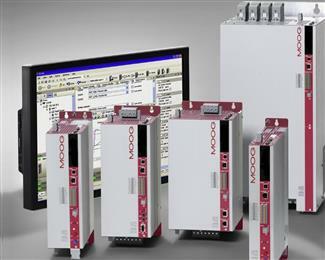 East Aurora, NY, USA, November 27, 2017 – Moog (NYSE: MOG.A and MOG.B), a designer and manufacturer of high performance motion control products, solutions, and services will be demonstrating its broad range of products including its newly launched electrohydrostatic actuation system at stand 550 in hall 3 at SPS IPC in Nuremberg, Germany from 28-30 November 2017. East Aurora, NY, USA, November 8, 2017 – Moog (NYSE: MOG.A and MOG.B) – a designer and manufacturer of high performance motion control products, solutions, and services, enlarged its product range of Electrohydrostatic Pump Units (EPU) with the EPU size 80cc in order to help customers address a wider range of applications. 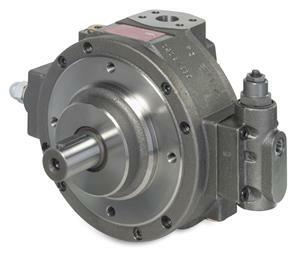 East Aurora, NY, USA, July 31, 2017 – Moog (NYSE: MOG.A and MOG.B) – a designer and manufacturer of high performance motion control products, solutions, and services, launched a new high-pressure radial piston pump (RKP) series. With a maximum operating pressure of 350 bar and peak pressure up to 420 bar, the new RKP series addresses a wide range of applications including presses, metal forming and heavy industries. 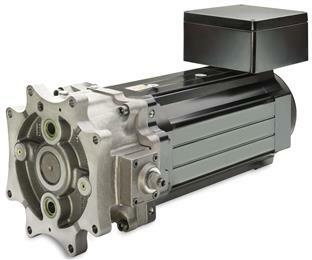 East Aurora, NY, USA, May 23, 2017 – Moog (NYSE: MOG.A and MOG.B), a designer and manufacturer of high performance motion control products, solutions, and services today launched a new-generation Electro-Hydrostatic Pump Unit (EPU) that will help machine builders and end-users derive the combined benefits of both hydraulic and electric actuation.